You are in no position to handle the insurance and medical paperwork if you have lost a family member or have personally suffered a grievous injury. That is especially so if these are the result of somebody else’s mistakes. You need to find a personal injury lawyer in the Bonney Lake, WA area to help you determine what you need to do and the best way to proceed. When an accident happens and is the result of another person’s negligence or reckless behavior, you deserve to be adequately compensated for your suffering and other related expenses. For trusted personal injury attorney in Bonney Lake, get in touch with the law office of Dan Haire. Getting an insurance settlement is not an easy thing. It requires understanding the importance of your particular injury case. This includes analyzing your injuries, understanding the work process of insurance companies and negotiation on your behalf for a just settlement. That is why it is important to hire an injury lawyer. As a professional injury lawyer in the Bonney Lake area, Dan Haire knows how to handle complicated personal injury cases. Dan Haire is the right injury lawyer to help you. Call today for a personal consultation. 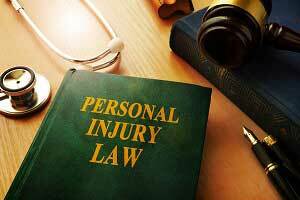 Filing a personal injury lawsuit needs expert skill and experience as well as the understanding of the laws and the legal system. Dan Haire has been the area’s premier personal injury attorney since 1986. As a trusted personal injury attorney, Dan Haire guides you through the legal processes and is dedicated to easing the financial, physical, and emotional burdens of an unexpected injury. Call the offices of Dan Haire for experienced legal assistance. Looking for an experienced personal injury lawyer in the Bonney Lake region? Call the best. Call Dan Haire at (253) 922-1393.